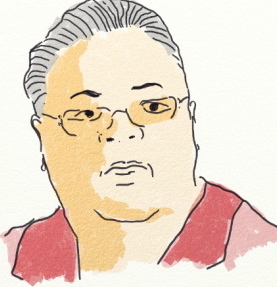 Karen Lewis. Standardized testing and the Eugenics movement. – Karen GJ Lewis is the President of the Chicago Teachers Union and National Board Certified Teacher. Many people who are convinced that standardized tests are reliable and valid indicators of student learning are not only sadly mistaken, but they are often people who also support policies that harm children, teachers and schools. This is unfortunate for a variety of reasons, the least of which is that unions, think tanks and other entities no longer pursue alternatives—multiple measures. Researchers have pointed out that standardized tests do not cover 70 percent of teachers, but rather than invest in multiple measures, companies respond with a plan to develop more tests. What many people do not know is that the use of standardized tests has its origins in the Eugenics movement, where basic tenets assert that certain races are inferior to others biologically and intellectually. From our 21st century perspective, we can look back in horror, but we have to be clear about the original purpose of standardized tests. The original IQ tests were designed by French psychologist Alfred Binet for benign and limited uses: a) on young children who were not developing “normally”; b) as “general” tools to make “general” decisions, not a precise measurement for precise decisions; and c) to signal when a child needed more help in their intellectual development. Unfortunately in the United States, IQ scores were posited to be fixed and innate, and were promptly used to rank and sort individuals by race and ethnic background. Businesses, government agencies and educational institutions used IQ tests to justify placing certain people into certain jobs and excluding them from others. While the Eugenics movement died an ignoble and deserved death, the leftover love affair with standardized testing has gotten completely out of control. In a society fascinated by statistics, we are often compelled to reduce everything to a single number. Those of us who work with children know that there are so many characteristics that cannot be quantified. We also know that educators are the best positioned and best trained to judge what our children know, what they don’t know and what we must do to support their learning. No test written from afar—that doesn’t give us immediate feedback and is not aligned to the curriculum—can ever provide us with the information we need to adequately help our students. We should resist every opportunity to steal our time, resources and professional judgment to satisfy the insatiable data monster that No Child Left Behind and Race To The Top have created. We just finished a unit on Intelligence and Testing in AP Psych… I’ll be passing this out in my class today for a quick discussion. Karen probably got a hold of this by Ralph Nader: http://www.amazon.com/The-Reign-ETS-corporation-Educational/dp/B0007APPYY. Very hard to find but traces the roots of Eugenics thru our educational/testing system and how ETS came to be based on the theory of Eugenics. Eugenics, was touted as a major discovery by some of the financial movers and shakers of that time. The theory ended up going overseas and being a major influence on Hitler. After he lost WWII many formally backed away from the theory. To some degree I believe that this reluctance to give up testing our kids to death is as evil as the original concept behind Eugenics—- there are individuals that are limited in their abilities due to their genetic/ethnic/racial background. Those people that believe this are today’s RACISTS. While the overuse and misuse of standardized testing is harmful to children and society in general, standardized tests, when used properly, can be helpful in educational planning and in a general sort of evaluation of students along with other measures, of course. The recent use by CPS of standardized tests to pass or fail students was bad practice, diabolical and just plain stupid. The cut off to pass to the next grade was based on a raw score which converted to a grade score, which in truth is a meaningless measure in the standardization of the test. From a historical context, this makes sense to me, but I would be grateful if anyone could provide reliable sources for this information. Particularly, “Unfortunately in the United States, IQ scores were posited to be fixed and innate, and were promptly used to rank and sort individuals by race and ethnic background. Businesses, government agencies and educational institutions used IQ tests to justify placing certain people into certain jobs and excluding them from others.” If this were Wikipedia, there would be a  tag after that. Jim Horn has a book half of which goes into this history of standardized testing. Reblogged this on interventions: on elementary radical pedagogy. Reblogged this on point breeze organizing committee. Another voice in the conversation on assessment and standardized testing. Can you see how this might fit into our discussions? Just saw this item, Rauner saying what a good deal having this program coming to Illinois. It makes me think some private company is going to make a ton of money at the expense of public schools. Do you have any information about this? PreviousTeaching our students and keeping them safe. NextMatt Farmer. Opt out letter.